Campanile Aurillac Aurillac, Hotel France. Limited Time Offer! Campanile Moulins Aurillac. 3-star hotel "Campanile Moulins Aurillac" is an excellent base from which you can explore Aurillac. This hotel has a total of 47 rooms. High temperatures are kept outside thanks to the air conditioning. Children can play safely in the privacy of the garden. Visitors can have dinner at the onsite restaurant which is known for its regional specialty. After a good night's rest, breakfast is available. Of course, access to the Internet is available free of charge. 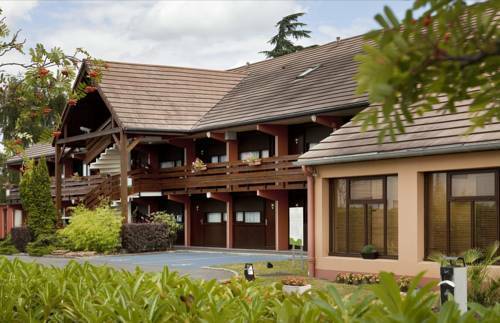 Situated in Aurillac, Campanile Aurillac is two kilometres from Aurillac Airport (AUR). Hotel Features. Guests can dine in the hotel restaurant. 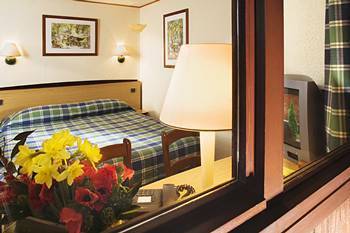 There are 47 guestrooms at Campanile Aurillac, spread over one floor. All rooms include air conditioning. This Campanile Hotel is located on the N122 motorway in Aurillac, west of the Cantal Massif Mountains. It offers en-suite accommodation with free Wi-Fi and a TV.